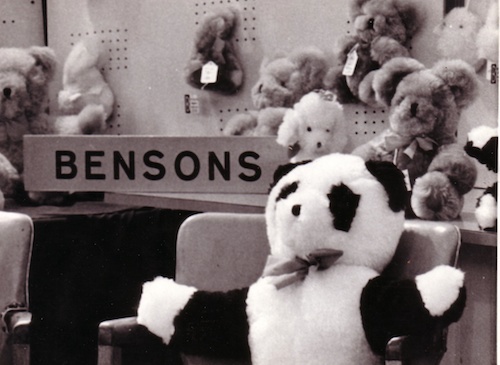 Beginning in the 1930's selling sheepskins and chamois leathers, Jack Benson founded a Teddy Bear business in the heart of the Midlands which, at its peak, was selling toys through W.H.Smiths and Boots. 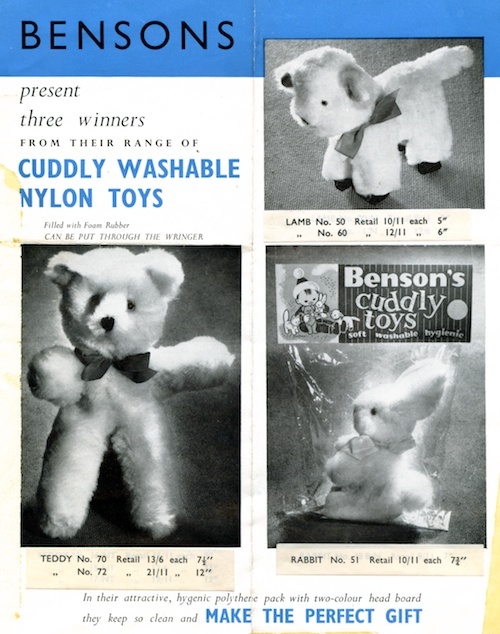 Originally made in sheepskin, the manufacture of the toys moved over to nylon. 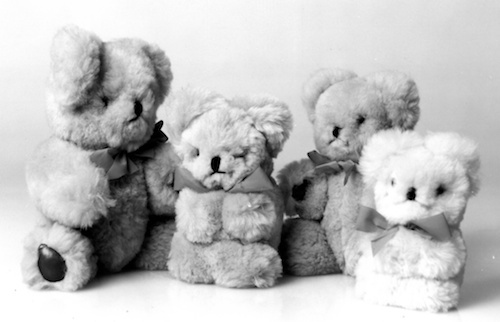 Jack designed all the toys himself, and they all retained a 'family likeness'. 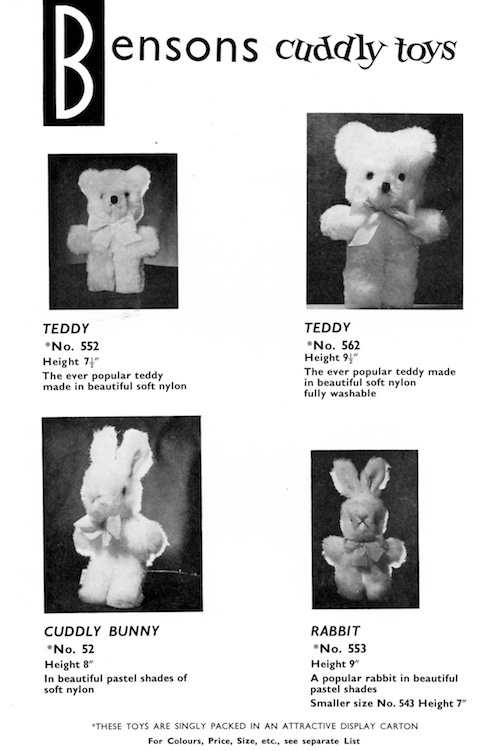 There were jointed teddies, pandas, puppies, kittens, rabbits, elephants, penguins, owls, and non-jointed teddies. To read the inspiring story of Jack, his wife Maisie, and their life-long love affair with each other and with their soft toys, then you can purchase an eBook. 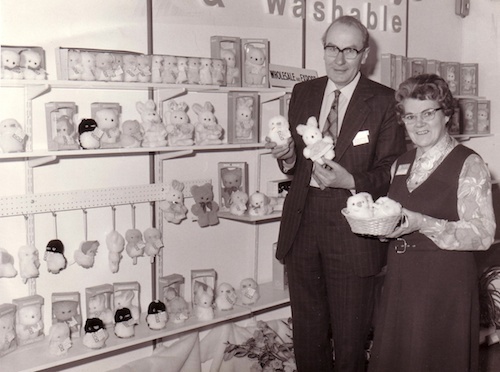 Find out how the family who were Birmingham Brushmakers became a family of Teddy Bear makers in Moseley, Birmingham. The book contains about 14,000 words and some 40 photos, some in full colour! You can purchase from amazon. 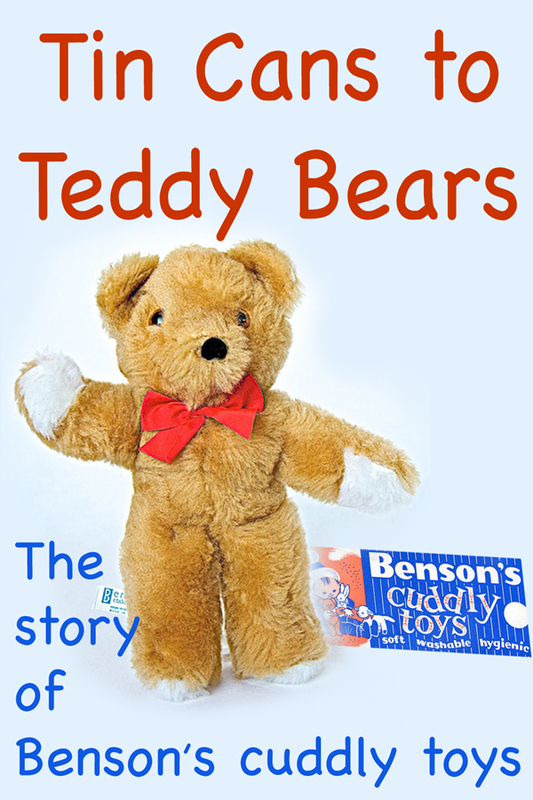 Find out where the tin cans come into the Teddy Bear story by buying the book today! 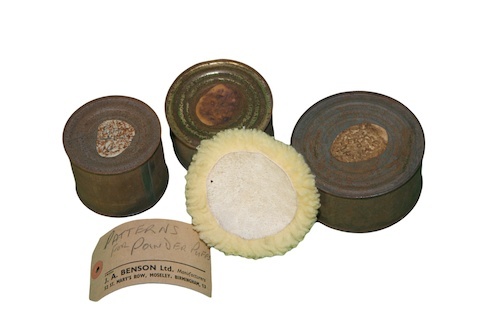 below is a photo of the original tin cans, first used in 1939 to found a business that gave birth to many thousands of teddy bears.